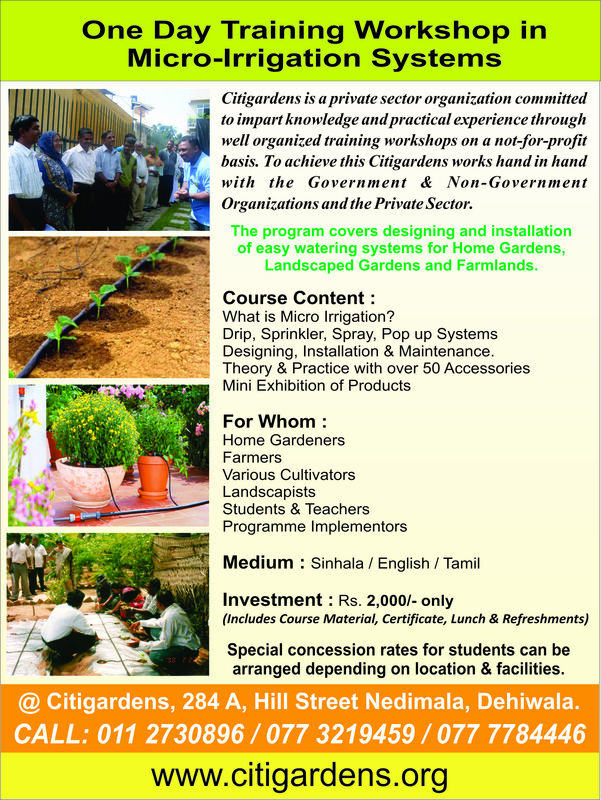 Citigardens provides you with a range of quality services for total customer satisfaction. We design and provide quotations as a free service on request as per our customer’s requirement. We also undertake installation of fully automated systems all island and our technical team is well equipped to provide maintenance at a nominal charge. We conduct site visits to identify the client’s requirements and provide free consultation and estimates for the systems. In addition demonstrations may be arranged for large or remote projects or for the purpose of training site maintenance staff. We are able to deliver your orders to all districts of the island via our efficient local transport network and courier service within 2 working days.